This was another one of the books I got via the blogger dinner, and since the Dark Days tour is passing through Seattle and this is one of the featured titles I decided I should read it before I met Debra. For some reason I had some trouble getting into it at first (not because of the book, but because of me. I just kept making up excuses to NOT read), but once I got rolling I was very pleased with the outcome. Seeing as I'm in a sci-fi/fantasy class I was interested to see a sci-fi novel in YA, because they're not very prominent. That being said I don't read of ton of sci-fi, but I was very pleased with this one. 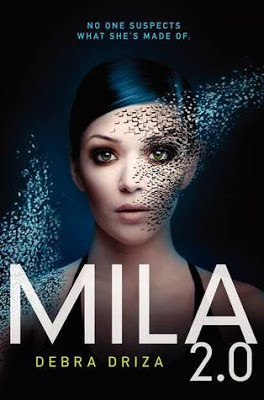 Surprisingly this steers away from a lot of the YA out there in terms of romance, although there is some, and focuses more on Mila's humanity. And although never having actually been in a fight (nor ever being an android) I can't say for sure how accurate the fight scenes were, but they were believable and enjoyable, as well as well-written and engaging. I had been told that the ending really crept up on some people, but that didn't happen to me, although you all know how hard it is to surprise me. The villain was vicious, one of those people that you know exist in the world but you hope to Bunnies you never come face to face with. Mila was a strong character and her humanity made her more likable, as well as more relate-able. I have an idea of where I can see the series going, but I may be wrong. 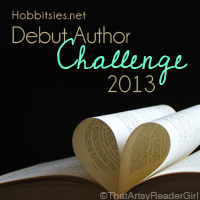 Overall I was thrilled with this high-octane (do I sound like a Times movie reviewer?) debut and I can't wait to see what Debra comes up with next. Fans of action and sci-fi will surely eat up this book and look forward to the sequel, most likely due out some time next year.